I am very pleased to call San Francisco State University my official school for my Urban Studies major, and it has been quite a ride for me to get into the school. I really wanted to go to UC Berkeley before (in 2008) because I know that the major is very competitive and is regarded one of the best in the country. However, due to financial constraints (limited income versus fast tuition rises), I decided to put off one year from university and head to another community college–in San Francisco–and work through my unit gap before applying for San Francisco State. Fortunately, I got accepted to the university for a second time, and I told myself not to waste the chance. And I have been pleased with the university environment from the start: being in an urban space, the campus for me is like an oasis of learning in spite of a very busy (and noisy) environment the school is surrounded by. Add to that many very helpful professors and a great academic advisor who show my way toward getting my major and focus on what I want to do in life, and you’ve got a school that is really conducive to my learning. 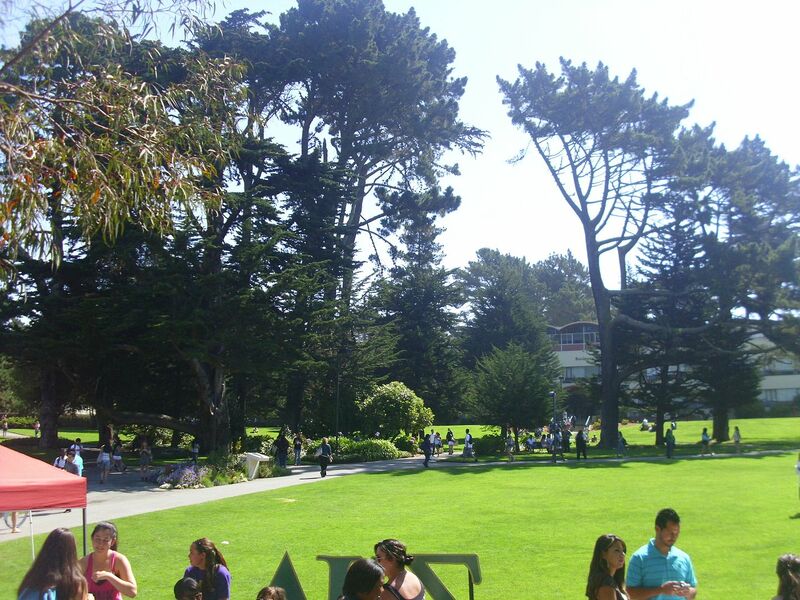 San Francisco State University has allowed me to fulfill my needs while working hard to reach my goals, and the university is simply great for someone who wants to start his or her life in the United States. It is a very diverse university filled with people who are open and willing to share their lives with others, no matter what cultural or gender background a person has, and it has opened a lot of doors of opportunity for me to keep motivated and educated through my young adult years. I really love going to SF State, and I have no regrets having a great education despite it’s just a step down from UC Berkeley. You should try to prove residency in the state of CA. You have been working and paying taxes ect., correct? That question is best handled on IM since it’s not a simple task to explain. It’s a complicated situation that must be addressed in an appropriate forum. Anthony, I ditto the residency comment. Gotta investigate that fully. How long have you lived in CA? I have been living in CA since April 2006, as a matter of fact. Beyond that, it’s better to discuss it on the phone or via IM because it is indeed a complicated matter to discuss online. I guess this means it depends on your visa type and if you can be considered financially independent or not. Way too complicated…. I have seen that, and if you want to discuss that further, I can do that on the phone. It’s a way complicated process to go through, and I’m going through every immigrant’s nightmare right now: waiting for the so called “priority date”. More details when I phone or IM you.